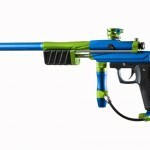 Have you discovered finding the right pair of paintball pants is one battle you are not enjoying? 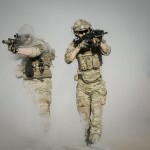 Don’t worry, we are here to lay out the facts so you can get into the game faster and find the best tactical pants for your game. 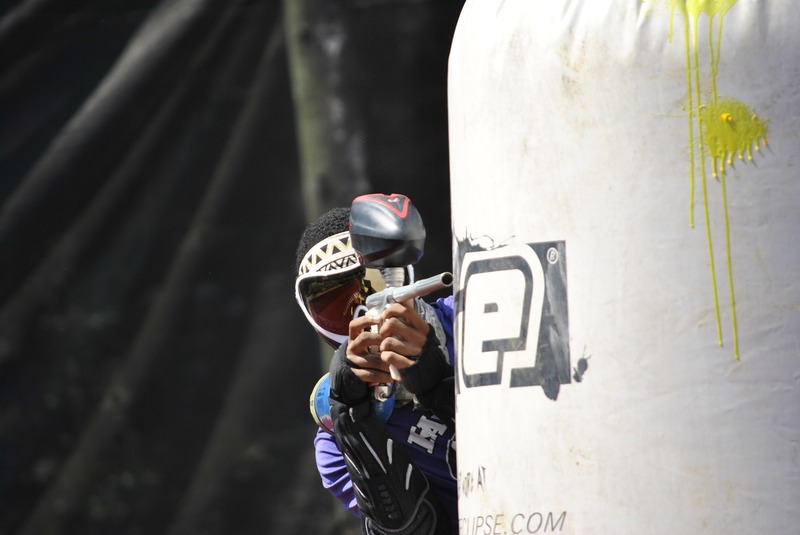 Let’s be real, paintball pants have many similarities and few differences, but there are some things to look out for. 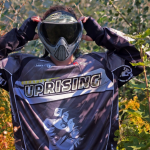 We will cover the basic characteristics you should be on the lookout for and review 10 of the best paintball pants and show you how they stack up regarding each characteristic. 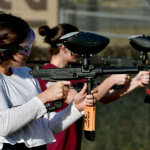 More and more, paintball pants manufacturers are designing pants to be lighter and lighter, which is great for ease of movement and maneuverability. The flip side is, this usually means less padding and sometimes less pockets. Some pants are made lighter by using mesh panels, even going as far as using mesh all along the back calves. Other manufactures have included mesh linings that go only to the knee to reduce weight, while others have no lining at all. A lining can add heat and weight, but it also wicks moisture from your body and serves as a good insulating layer in cold climates. 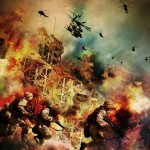 Consider what is important to you, based on where you live, before deciding. 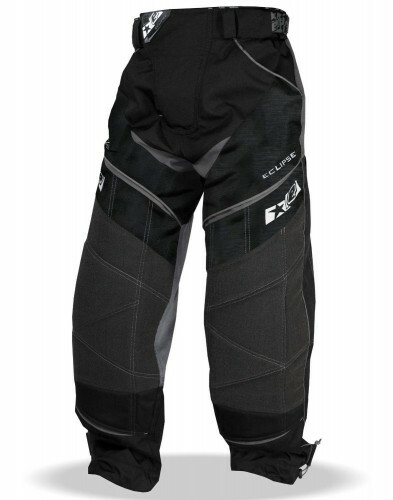 Most pants have some knee padding, but a few do not and will require knee pads. Some pants have groin or cup area padding and padding on the hips, which is nice, but can add bulkiness. 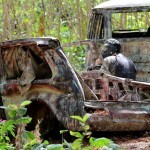 Consider what tradeoff is worth it to you. 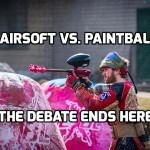 Some paintballers appreciate the extra padding while others say less padding allows freer movement. It’s a personal preference. Pockets seem to be a deciding factor for many. Some pants have too few pockets, or pockets that do not close securely and are not resistant to the elements. You might find these on less expensive pants. Some pants have many secured, zippered and weatherproof pockets, along with swab pockets that add to the utility of the pants. You may pay a little more for better pockets, but they protect your gear and belongings better and you are less likely to lose anything. 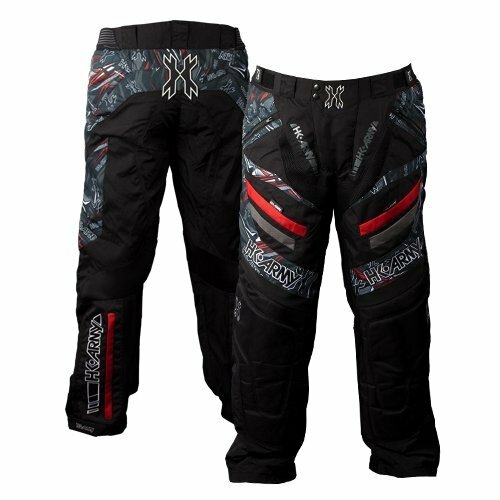 The vast majority of paintball pants made today are engineered with stretch mesh panels that allow greater movement and breathability. Nearly all of the pants we reviewed have this in the groin and knee area. This stretch fabric also prevents tears and contributes to the life expectancy of your pants. It is a feature we highly recommend, unless you like shopping for new pants often. Along with movement these mesh panels we just discussed add a significant amount of ventilation. Many manufactures today are using a laser perforation technology on the pant fabric to pierce precise holes into the fabric for maximum air circulation. If ventilation is important to you, try and find pants with this feature. Securing the pants is important for obvious reasons; you need the pants to feel secure, not as if they are falling off. Most pants have Velcro adjustment belts to help with this. One pair had surf short style ties to tie up the pants, and a few have drawstrings. Many pants have either a drawstring or Velcro strap, or both, at the ankle to secure the pants. Securing the pants at the ankle is important. It keeps the leg from sliding down over your foot and prevents you from tripping on your pants, not a cool moment. 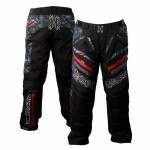 The Exalt Thrasher T4 are a budget priced quality pair of paintball pants. They have good knee padding, so you may be able to forgo knee pads. Features a good number of belt loops so you can use a belt. The pants have a silicone coating/pattern that keeps your pack in place. The inseam of the pants, in the groin area, has a stretch material, allowing for ease of movement. Mesh lined pockets. Pants incorporate a knee pad, and stretch material around the knee pad. The pants have a total of 6 pockets, 2 which are water resistant, 2 which are Velcro close and two which are swab pockets. Microfiber cloth inside one pocket for cleaning goggles. Large, wide coverage knee pad. A high quality super light weight pant with plenty of storage. One of the best tactical pants around. Velcro close fly with two button close. 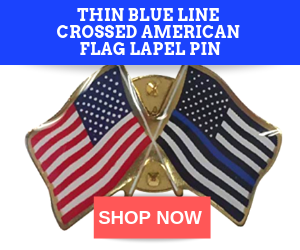 Has elastic strap belt adjustment and belt loops. Two side front zip pockets that are water resistant. Very breathable pants that have a little stretch in the groin. The front pockets on the top of the thigh are small and don’t fit much. They have some stretch above the knee to prevent tears and accommodate knee pads. There is some padding in the knee. They have Velcro straps at the ankle to secure the pants. The logo design serves the purpose of holding the pod pack in place. 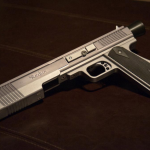 The 2014 model has double stitching to hold up under sliding and kneeling. The back, groin and above the knee have a breathable mesh to keep you cool. Mesh lined to keep you dry. Hip pads that remove and Velcro in. 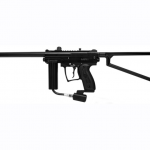 A favorite of many paintballers and among the best tactical pants out there. Durable, padded and have some useful pockets. 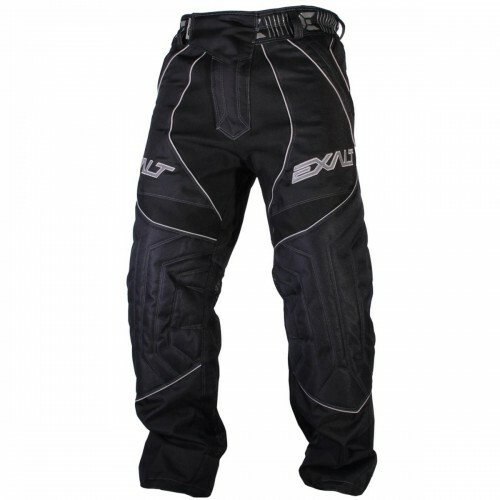 One of the most ventilated pants, great for keeping you dry and cool. 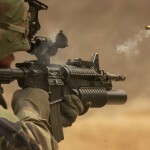 One of the best combat pants around. Very lightweight pants, several panels of lightweight material in areas that take less abuse. 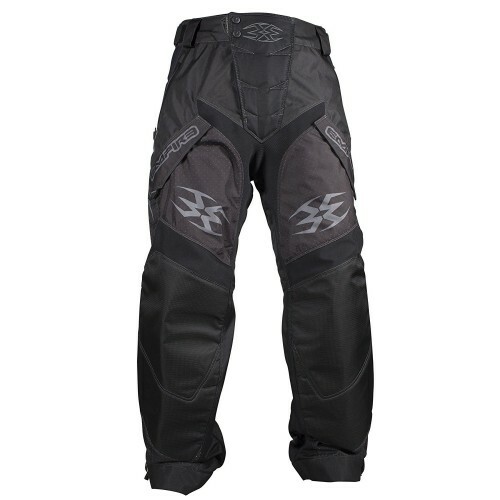 The pants also have mesh panels that allow air flow. 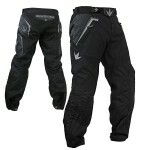 The pants feature double stitching to reinforce the pants and make them more durable. The pants have elastic with a drawstring, nothing bulky. Ankles have adjustment straps as well. Wide knee pads, minimal design, and belt loops if you want a belt. Stretch material on groin and inner thigh allow easy movement. Super lightweight, breathable, adjustable waist and ankle straps. Only two pockets, that have no closure or zipper. 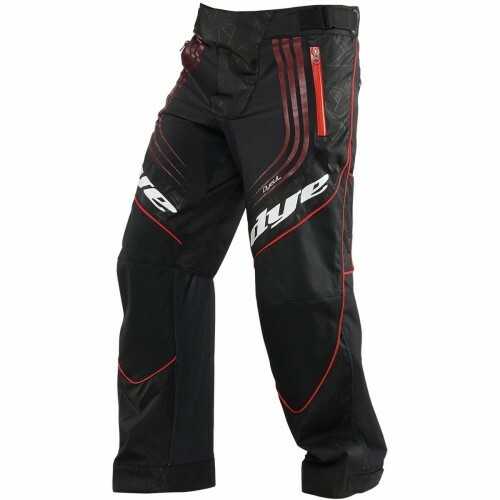 These pants and minimalist, designed for speed and movement with knee protection. 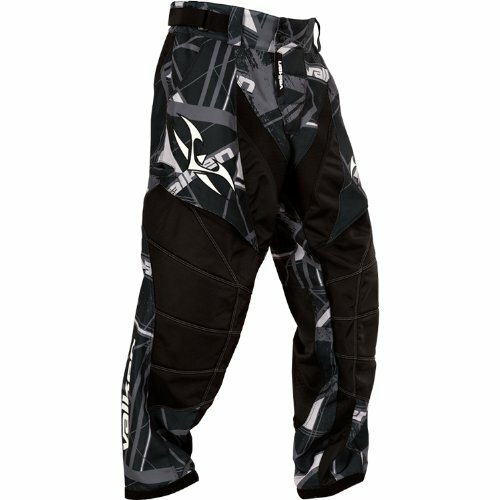 One of the best paintball pants you can own. 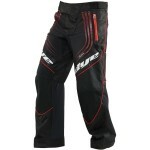 These Bunker Kings Supreme paintball pants feature a Velcro close fly with a removable pad that covers the groin area. The pants are mesh lined and have Velcro waist adjustment. Two zippered front pockets for secure storage. Stretch material in the groin area allow a greater range of motion. Padded from the knee to the ankle. Breathable mesh panels through out. Padded knees, groin pad to protect sensitive areas. Stretch material in groin area. Adjustable waist and ankle straps. Run slim and tall, may be challenging to find a good fit. For all the tall, lean guys out there, here are your pants. 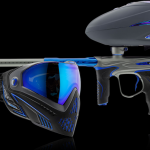 One of the best paintball pants for long and lean ballers. Padded fly to protect sensitive areas. The fly has an easy open tab with two snaps and the fly is Velcro. Mesh lining goes to thigh, so it does not interfere with knee pads. Several mesh sections for great ventilation. The two front pockets have zippers and are covered to be moisture resistant. The pocket has a built in cloth to clean goggles, The pants have an adjustable waist band and ankle straps. The groin is solid, but there is stretch fabric around the groin and knee. The knee pads are large, but somewhat thin. Stretch material in the bottom. You need to wear knee pads as the pads are thin. Zippered water resistant front pockets. 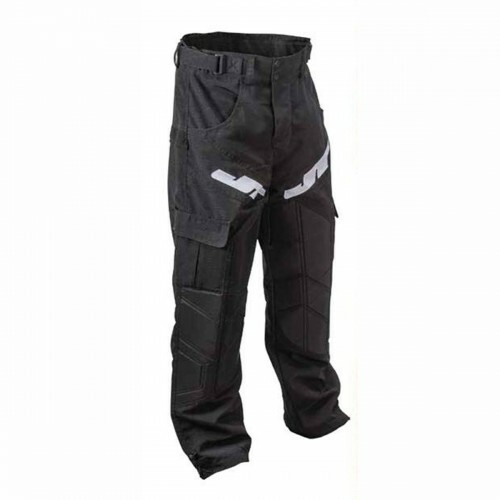 One of the most comfortable, well ventilated pants with minimal knee padding. Padding in the groin and knees and some removable hip padding. The padding on the knees is somewhat thick. The fly has two snaps, Velcro and a zipper. There is a Velcro waist adjustment for a snug fit. The pants feature a mesh lining. There is a belt loop and on the back the belt can be threaded completely under the back side to keep the belt from interfering with your pack. There is rubberized lumbar support on the back for support and to hold your pack well. There are stretch panels on the groin and knees. Barrel swab pockets on each side. Small zippered pocket for ID, keys etc. Drawstring and Velcro cinchers on the ankles. Small zippered pocket for ID. Front pockets are not sealed or zippered. 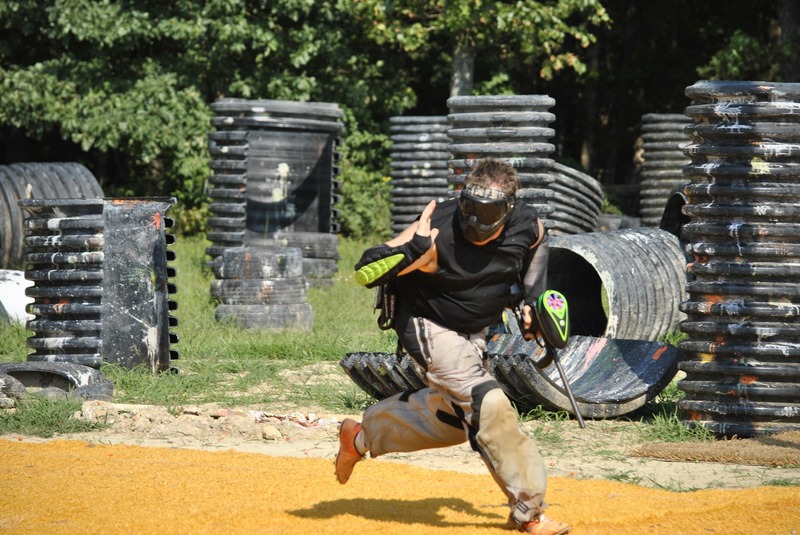 If you like a little extra padding, these are some of the best paintball pants you can own. 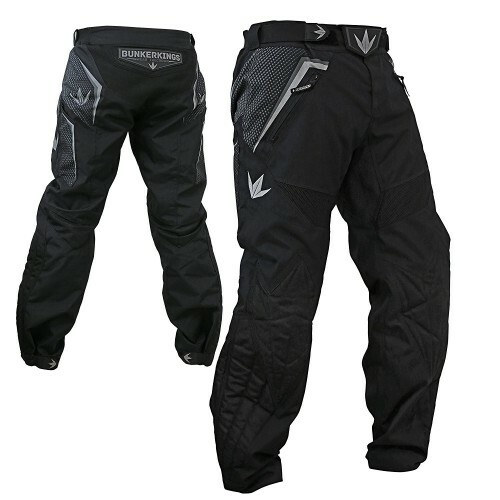 These pants have it all, ample padding while being well vented and having ease of movement. Crusade is the middle grade model of Valken pants. The Hatch, refers to the design pattern on the pants. They have a padded fly with two buttons, Velcro and zipper. They have no liner, adjustable Velcro waist bands. The pants also have a few belt loops. There are two front pockets that have no zipper or close. Two swab pockets on the side. There is stretch material in the groin and bottom, under where your pack sits. The knees are padded decently to the lower shin. Very lightweight pants. Velcro adjustment cuffs at the ankle. No liner or sealed pockets. A minimalist pant that has what you need, and nothing you don’t. One of the best minimalist, best combat pants you can have. Bold color panels that have 4 way stretch for easy movement. These pants are very lightweight. There is mesh on the back and stretch mesh on the groin. The back leg at the calf area has a very thin nearly see thru fabric. The pants have a tie close, similar to board shorts. There are two swab pockets. The waist has adjustable Velcro bands. There are zippered water resistant pockets on the front. The material of the pants is water resistant and wears really well without tearing. The ankle has Velcro adjustments. 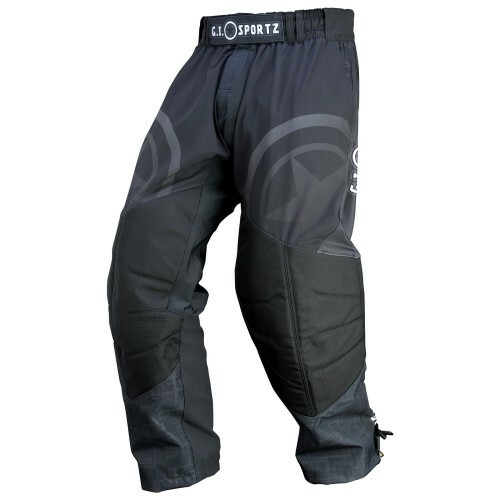 If you are in a warm climate or need some summer pants these pants are very breathable and have no knee padding. 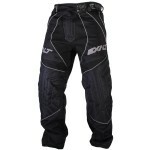 These JT Paintball Pants are padded from the mid-thigh across the knee down to mid-shin. Their waist and ankle have adjustable bands. They have stretch groin and two huge front pockets, with no closure, and two cargo side pockets that have over flaps. Plenty of storage. They also have belt loops if you wear a belt. The pants are made from rip-stop nylon. Waist band has full 360 Velcro band for maximum adjustment. Stretch groin, to prevent tears. Can get hot, may be good winter pants. No groin padding. 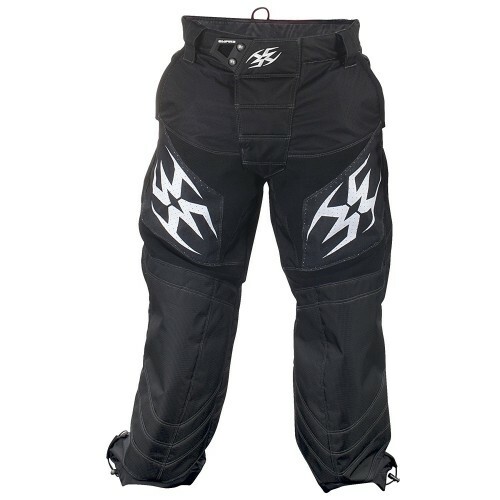 If you want a budget pair of pants with hefty incorporated knee pads, these are your pants. These have a padded fly with a tab open and two snaps. There is Velcro and a zipper to keep everything secure. The mesh liner goes to the knee. The two front pockets have flaps/covers and there are two side pockets with zippers that are water resistant. The zipper on the pockets have a pouch to store the zipper. 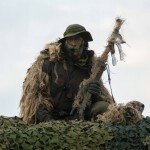 There is stretch mesh around the groin and knees for better maneuverability and breathability. The knee is lightly padded from knee to mid-shin. Drawstring ankles to keep pants clean. Adjustable Velcro belt with silicone logo to keep pack from shifting. Need knee pads with these pants. Only available in black. If you need a lot of secure weather resistant storage in a very breathable pant, these are you pants. 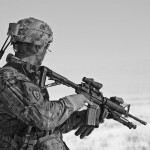 High quality and light, counted as some of the best tactical pants you can own. So there we have it. 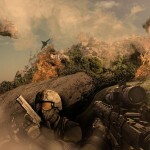 We hope this guide helps you find the best tactical pants for you and your game.